Today -- lowest price we've seen. 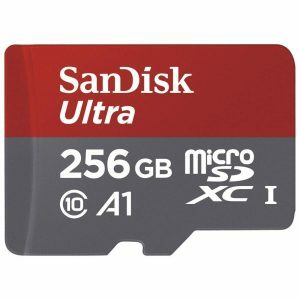 Amazon has the SanDisk Ultra 256GB microSDXC UHS-I Memory Card Sale Priced for $30.99 with Free Shipping. Includes SD card adapter. Highly Rated 4.5 out of 5 stars. $40+tax next lowest at amazon from a 3rd party. World's highest capacity card for GoPros, DSLRs, Android tablets, digital cameras, and smartphones. Only buy memory cards direct from amazon, due to counterfeit worries. Twice the speed of ordinary memory cards.